Had it not been for Araneta Center's invitation, I wouldn't have discovered this gem of Italian Restaurant in Cubao. I mean, I do not pass by the area where the restaurant is located so there's really a slim chance that I'll see it. Luckily, I got to attend Giovanni's opening last year. Of course, there are instances when the quality and taste of food being served during a restaurant's launch is different from when it is already operational so I know I just have to go back and taste the food. 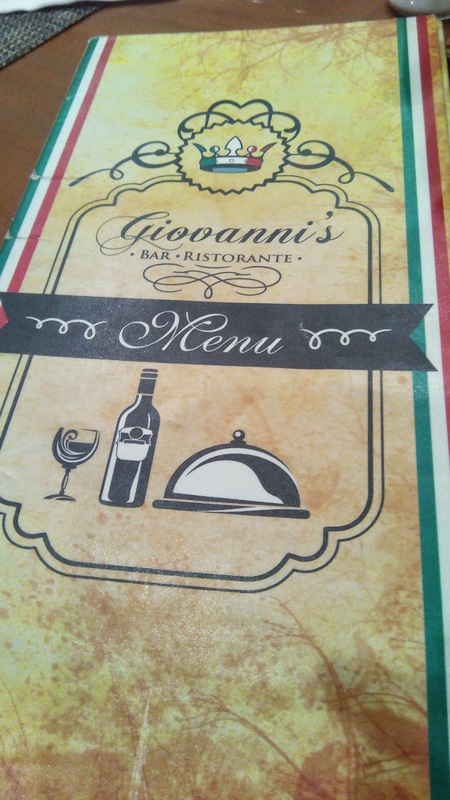 Actually, daughter and I already visited Giovanni's a few days before Christmas and I'm happy to share that we enjoyed the food. I was also able to talk to Luigi, a friend of Signore Giovanni, who sadly doesn't speak English. I was dreaming of eating the delicious pizzas at Giovanni's again so when my high school friends and I had our annual get-together, I suggested we dine here. We ordered the buy1-take1 pizza that costs P299. Flavors are Marinara and Bianca con Pancetta. Size is 10 inches. Marinara. The dough is freshly made upon order. I'm not sure if they make their own sauce but since Signore Giovanni is an Italian chef, I'm sure the sauce didn't come from bottles. I highly recommend this pizza. Tastes so light and refreshing in its simplicity- tomato sauce, oregano, garlic and olive oil. 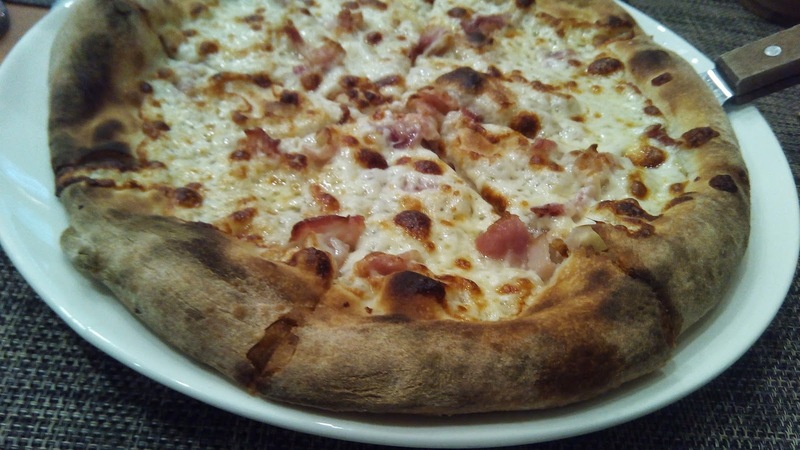 Bianca con Pancetta. This is also good but has a richer taste because of mozzarella and bacon. A slice is already filling. Tagliatelle Alla Boscaiola, P250. 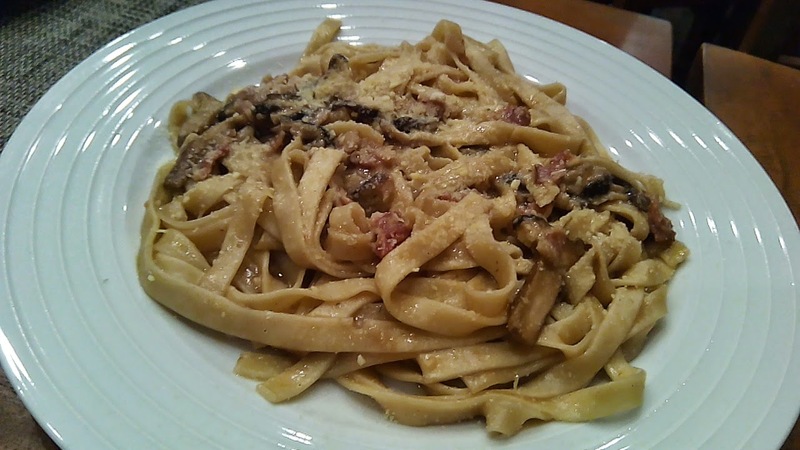 Tagliatelle pasta with assorted mushroom and bacon. Like the pizza, they also make their own pastas at Giovanni's. You really have to visit the restaurant so that you can compare the taste of fresh pasta with that of other restaurants. Delicious! Portion is good for sharing especially if you order pizza. There's 4 of us who shared everything. 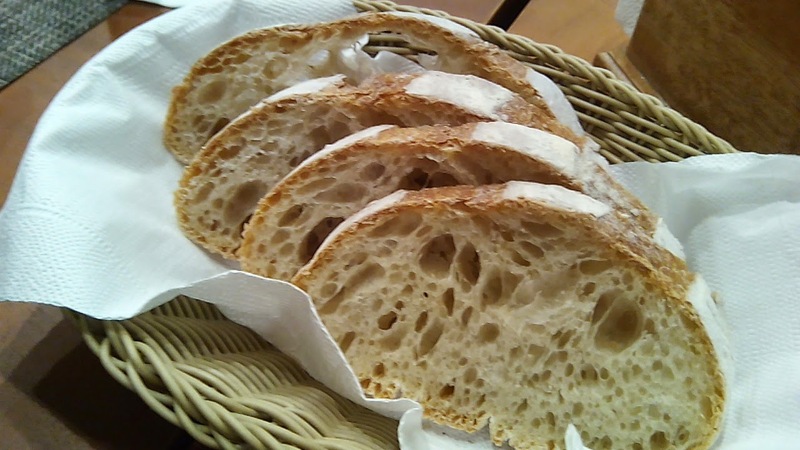 Bread Basket. This comes free while you wait for your order. You'll be given a saucer with olive oil and balsamic vinegar to dip the bread. Sometimes, they also serve breadsticks instead of bread slices. I prefer the breadsticks though. They also serve Italian coffee which was highly recommended by Luigi. Not to sound biased, I know for a fact that this is an authentic Italian restaurant because the first time daughter and I ate here, we felt that we were in Italy because most of the diners are Italians- including their conversations. Its like being in a movie- haha. Everything looks so yummy! 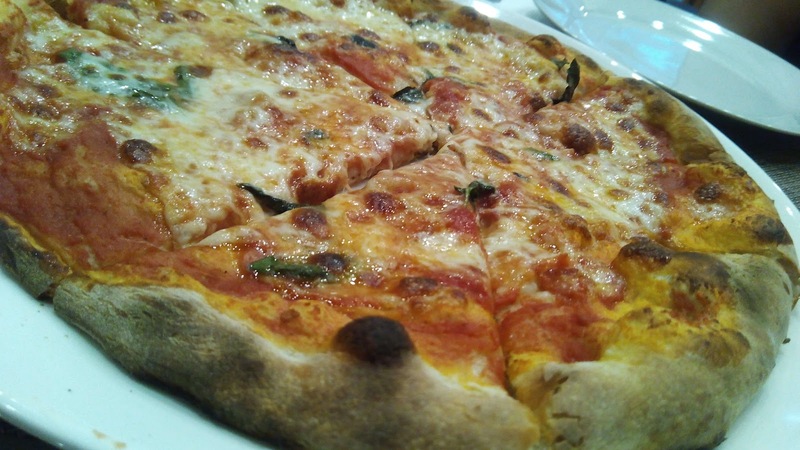 I love pizza and pasta so I am sure I will love this place! I love bread, pizza and pasta! I hope we can check this out when we get to the Araneta area! Italian food is delicious! Thanks for sharing this! I've never been here but I bet it's a great place. They serve yummy foods. P299 for two genuine pizzas? What a great deal! Oh and in Italian restaurants, I prefer bread sticks, too. My boys loves pizza! Will check out this place next time we are at Araneta. last day we were at cubao was when we watched disney. love pizza too and pasta! Everything looks delicious and the prices are affordable too! Oh, I'd love to try an authentic Italian restaurant! Sad thing is that I seem to be the only one in the family who takes a liking on Pizzas and pastas. My family loves pizza and pasta, and from the looks of it, I think we will enjoy Giovanni's food offerings. Hope we can drop by this restaurant soon.